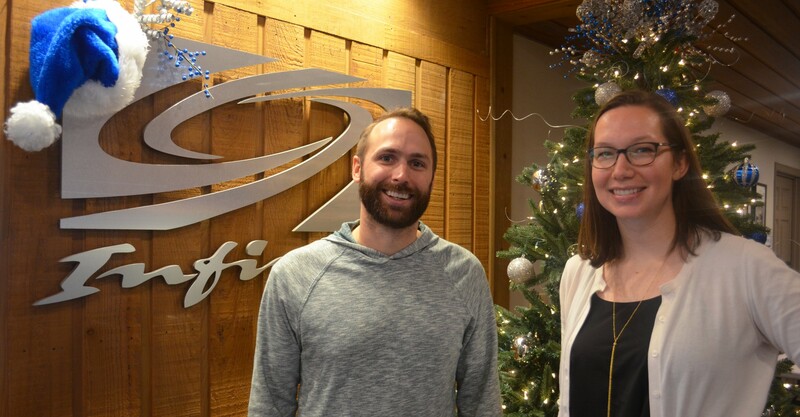 Infinity Marketing continues to advance its Media Department as the company has promoted two key team members: Chris Sweeney to Senior Data Analyst and Abbey West to Assistant Media Buyer. As Senior Data Analyst, Sweeney will be responsible for expansive media analysis across digital and traditional media, which includes building analytics dashboards that evaluate correlations between media metrics and client business objectives. He has been with Infinity for eight years and has extensive analytics experience across multiple client verticals, including healthcare, telecommunications and financial services. Sweeney holds a bachelor’s degree in Marketing with a minor in Advertising from Clemson University. In her new role as Assistant Media Buyer, West will focus on providing strategic media solutions that achieve clients’ goals with research, campaign monitoring, stewardship and issues resolution. She joined the Infinity team almost two years ago as Media Coordinator, managing clients in the retail, healthcare and manufacturing industries. West is a Furman University graduate with a degree in Communications. Infinity is proud to recognize these employees who strive for excellence, especially in enhancing their skill sets to improve overall agency performance.